Established in 1989, Anchor Industrial Plastics Ltd is a family-run business based in Ripley, Derbyshire. They supply industrial plastic components suitable for the water treatment, industrial and retail industry. 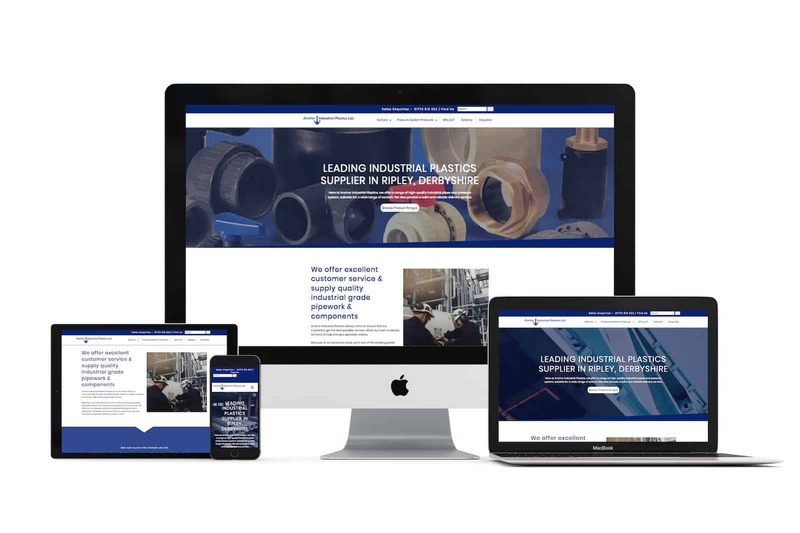 Anchor Industrial Plastics briefed in Creative Asset to create a website which not only highlighted their expertise and values but also showcased their extensive stock. Their old website was outdated and gave little information about their business and what they did. Therefore, it was important for Creative Asset to highlight their brand in order to provide a 24-hour salesperson for the company. Our design for Anchor Plastics is clean, easy to use and navigate. In catalogue and e-commerce projects, it’s important to focus attention on the products, therefore we included a consistent call to action to direct the user into giving them a call or visit them to purchase their stock.